Pop in at the world's most famed junction at Broadway and Seventh Avenue from the comfort of your home. Just as that the "Crossroads of the World" are decorated with billboards and advertisements, the homepage of Time Square Casino is swathed with most popular slots, video poker and live casino games. You won't be helpless like many sightseers are in NYC as the site presents a striking design that can be navigated effortlessly. Explore the countless promotions on offer, select out your most preferred online slot and have customer support available to you 24/7. With innovative software providers, the entertainment doesn't' stop, as it would be in the city that never sleeps. The primary enrichment to be claimed in the form of bonus cash comes after you've signed up and made your first deposit. That's when you'll be rewarded with a 100% bonus on your first deposit up to €500, plus 50 Free Spins. This is followed by a 50% match up to €400 on your second deposit, and a 150% match up to €500 plus 50 Free Spins when making your third deposit. No coupon code required. This cash is subject to a 35x wagering requirement before it can be withdrawn. In addition there's also a 15% bonus to be claimed when you use certain deposit methods. The following methods will be eligible for this bonus vouchers: Neteller,Ukash, PostePay, Skrill, Sofort and Giropay . This deal comes with a 25x wagering requirement. Other promos available at Times Square Casino include a high roller bonus of €2,000 when you deposit €500. 50% cashback is also available on your first three deposits. No coupon codes required to grab hold of these offerings. The Casino additionally features a VIP loyalty program implemented via comp point collection. You'll receive 1 point for every €10 wagered on slots, and as you move up the four-tiered ladder, they'll be dished out up to 20% faster. Points are redeemable for cash at the rate of 100 for €1. Times Square Casino offers one of the most generous welcome bonuses that we've ever seen; beating Diamond World casino by far. This give you all more reason to pay a visit at this extraordinary site. Available in around a dozen languages, Times Square Casino is designed for players from Europe primarily with an emphasis on Russia and Scandinavia. In truth though; players from all around the globe are welcome to indulge in a game of chance as long as their laws do not prohibit online gambling. Choosing to work with an interesting mix of developers the online library is stocked by software providers: NetEnt, NextGen and Elk Studios, games from Amaya, Lightning Box, Leander, 1×2 Gaming, GameArt, Gamescale and Fugaso. This has resulted in a unique collection of 400+ slots, many of which you won't easily find elsewhere. A portfolio of about 30 table games offers several Roulette, Blackjack, Poker an Baccarat varieties, along with Craps, Sic Bo and Sharp Shooter. You'll additionally get to choose among a small number of Video Pokers and a decent collection of Scratch Cards. 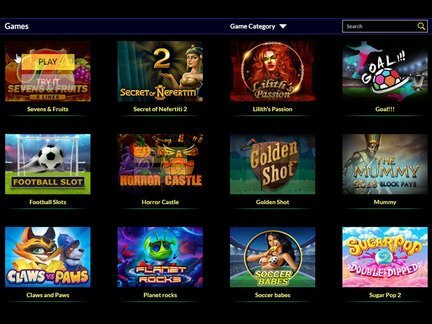 Live Casino powered by Extreme Live Gaming provides a couple of Blackjack and Baccarat Games, though it will probably be most attractive to Roulette fans thanks to more interesting executions such as Golden Ball, Dolphin's, and Sizzling Hot Roulette. The casino app can be launched via the browser of your desktop or mobile device including iPad, iPhone and Android. You can test your gaming skill by taking a spin for free or play for real money. No download required. This should give you plenty of opportunities to learn and practice before wagering real cash. To date, a list of jackpot winners is not available, nor does the casino list recent winners on its homepage. Since the website has obtained its license in 2017, it hasn't received much in the way of response. It will be interesting to see what kind of problems will emerge as a result of increased traffic to the site. At this point in time, the user can send any inquiries to the staff via e-mail. The contact section also features a chat window. A message can be easily sent that way. Times Square Casino is the new kid on the block is owned and operated by Game Tech Group N.V and was established in April 2017. This online betting entity is licensed and regulated by the Government of Curacao under Master License No. 1668/JAZ. In regards to money transaction, Times Square Casino utilizes the latest 128-bit Secure Socket Layer (SSL) encryption technology to ensure that sensitive data is transferred securely over the Internet to their secure servers, which are protected by the latest firewall technology. In addition, all of the software is audited on a regular basis by Gaming Laboratories International (GLI) - a third party auditor to confirm that the games are fair and true. I like the funky layout of the website. Times Square casino is a glitzy and glammy site that's still relatively straightforward. It characterizes brilliant text, graphics and banners over top of a black overlay. It's the picture-perfect online casino interpretation of an exhilarating party nightlife, and it's an enjoyable theme for sure. Punters dropping in at this online establishment will find it effortless to navigate through the various sections with the top navigation bar. The listed options will appear in a neat box down below the banner of the page. Navigation is uncomplicated and even brand-new punters will be capable to go through all the options that they want right away. In general, if you tried to imagine what a night club or brilliant city night-scape would look like in casino format, you would get Times Square Casino.